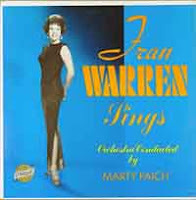 Here is a beautiful song performed by the great torch singer Fran Warren. Fran Warren (born in 1926) is an American popular singer. She was born as Frances Wolfe to a Jewish family in the borough of the Bronx, in New York City. After some time on a chorus line at New York's Roxy Theater, she auditioned with the big band of Duke Ellington at age 16; though she never made it onto Ellington's band, she soon became a singer with bands led by Randy Brooks, Art Mooney, Billy Eckstine, Charlie Barnet, and Claude Thornhill. It was Eckstine who gave her the stage name of Fran Warren. With Charlie Barnet, she replaced Kay Starr as featured vocalist. In 1947, she made the charts for the first time, with the Thornhill band's recording of "A Sunday Kind Of Love" on Columbia Records. She made a number of other records with Thornhill that year. 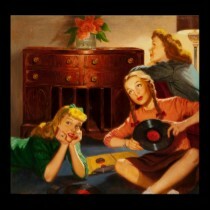 In 1948 she went solo, signing with RCA Records. On RCA she made a number of recordings, but her biggest hit was a duet with Tony Martin, "I Said My Pajamas (and Put On My Pray'rs)". Other recordings which she made include more duets with Tony Martin and with Lisa Kirk. In the early 1950's, she moved to MGM Records. She had a number of records for MGM, making her last chart hit in 1953 with "It's Anybody's Heart". In the 1950's she also started to play in musical comedy, performing in "The Pajama Game" in the mid-1950's and later playing the title role in "Mame". She did not neglect her band singing, touring with Harry James in the 1960's. 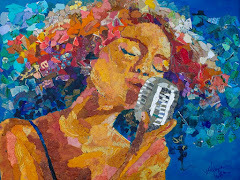 Enjoy the beautiful Fran's smooth voice!